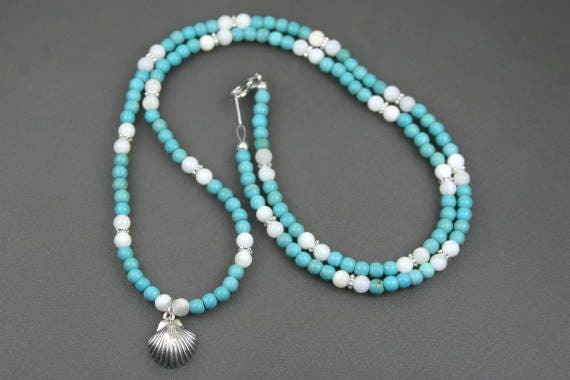 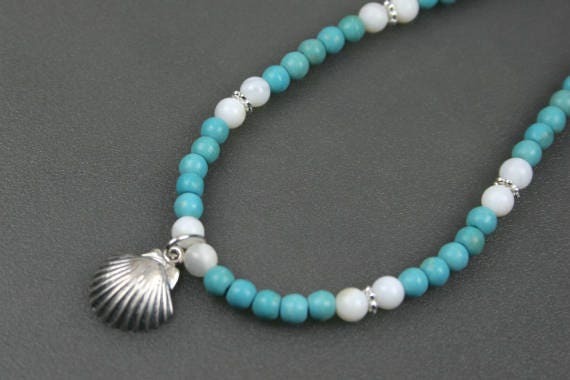 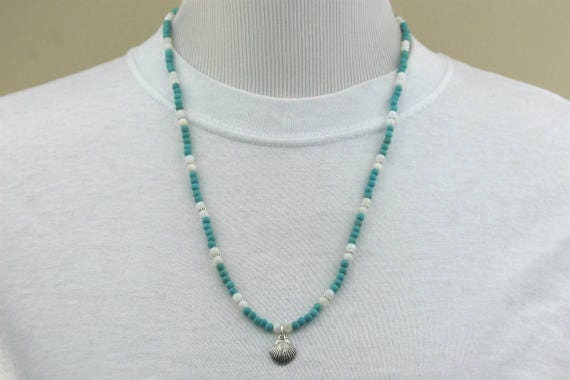 This antiqued sterling silver clam shell pendant is strung on a strand of petite turquoise magnesite (4mm) and white shell beads (4mm) with silver plated roundel spacers (4x1 mm). 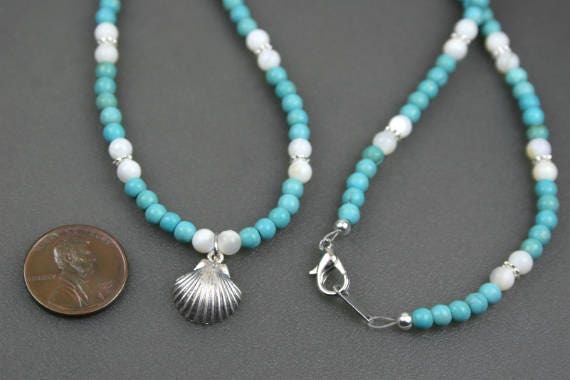 The entire necklace is strung on stainless steel wire and closes with a silver plated lobster clasp. 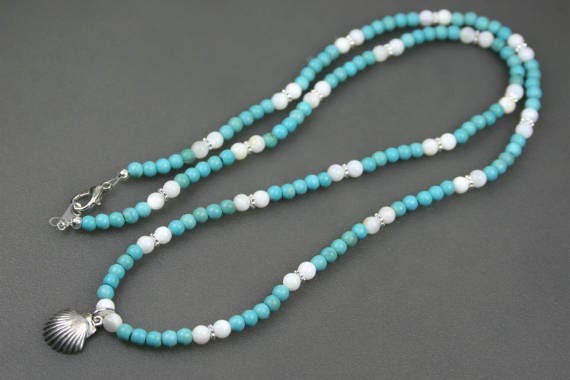 The necklace is approximately 25 inches long.